For the VO65s, the Rolex Fastnet Race doubles as ‘Leg Zero’ of the Volvo Ocean Race and is a non-scoring practice race prior to the main event. However no one seems to have told the crews this. 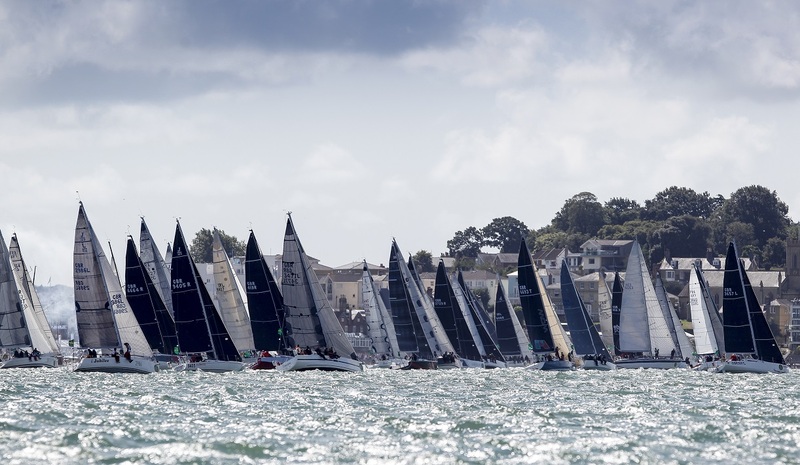 Since leaving Cowes on Sunday they have been sailing every bit as hard here as they will when their round the world race proper sets sail from Alicante on 22 October. 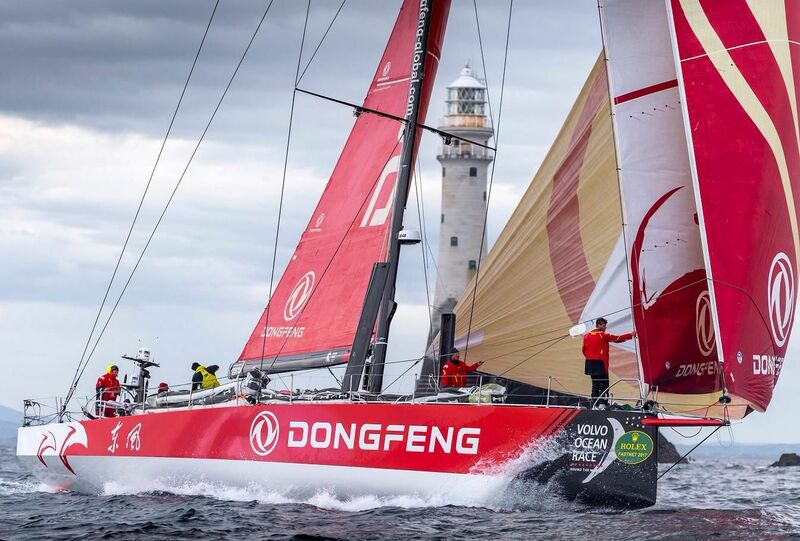 En route to the Fastnet Rock overnight the Chinese Dongfeng Race Team had taken the lead. Late this afternoon the IRC Z boats such as Piet Vroon’s Ker 51 Tonnerre 4 and Nicolas Lecarpentier’s Marten 72, Aragon, were rounding the Fastnet Rock, while the last handful of boats, mostly in IRC Four, were passing between Land’s End and the Scilly Isles, with the whole lap - across the Celtic Sea, round the Fastnet Race, south across the Celtic Sea to Bishop Rock, then the run back on past the Lizard to the finish off Plymouth breakwater - still ahead of them. Marten 72 family crew onboard Aragon sent us this lovely onboard shot from the start of the race. Cope reported seeing dolphins by the legion. Cope’s Purple Mist crew are all experienced Yachtmaster-level cruising sailors but only took up racing last year. “I did three RORC races last year and I have done everything this year – so like 10 RORC races in total is my entire racing experience.” Not only is this their first Rolex Fastnet Race, it is also the furthest west Cope has ever sailed. Sailing up the opposite, westerly side of the Traffic Separation Scheme close to the Scillies was the Royal Artillery crew on the Rustler 42, St Barbara V. Again they are a newbie crew, aged 23-55, with only the skipper and one other having competed in the Rolex Fastnet Race before, and several of the crew having no offshore racing experience before this year. The crew was chosen at the Army Offshore Regatta in May. “On our heavy old tub of a boat, we never expected to be near the front, but we’re having a good time,” said skipper Nat Webber. In IRC Two, Gilles Fournier and Corinne Migraine’s J/133 Pintia still had just over 50 miles to sail to reach the Fastnet rock but had extended her lead on corrected time in her class, having pulled more than 5.5 hours ahead of second-placed, British favourites Nick and Suzi Jones’ First 44.7 Lisa, skippered by RORC Commodore, Michael Boyd. Leaders in IRC Three, both on the water and on corrected time, were half way to the Fastnet late this afternoon with Arnaud Delamare and Eric Mordret’s JPK 10.80 Dream Pearls easing ahead of the doublehanded crews - Ian Hoddle and Oliver Wyatt on the Sun Fast 3600, Game On, and Ed Fishwick and Nick Cherry on Redshift Reloaded. All three boats were jockeying for the lead on the water with Dream Pearls closest to the rhumb line to the Fastnet Rock. Meanwhile in IRC Four, the JPK 10.10s have been suffering, allowing the upwind weapon that is Paul Kavanagh’s Swan 44 Pomeroy Swan to take the lead ahead of Chris Choules’ Sigma 38, With Alacrity. 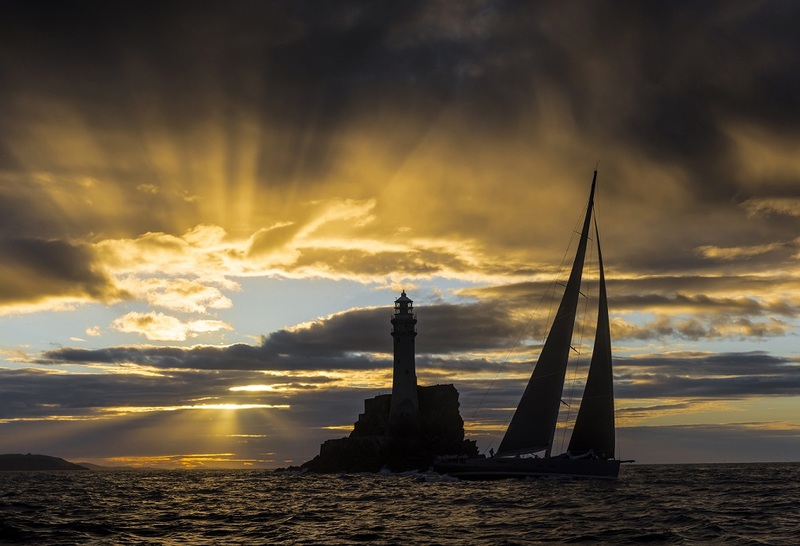 The next wave of boats to round the Fastnet Rock will be the twenty seven Class40s where the Franco-Anglo duo of Halvard Mabire and Miranda on board Campagne de France have regained the lead from Britain’s Phil Sharp on Imerys.